The people’s wisdom and belief in the healing properties of the Banya were confirmed by the research work of scientists. The Banya is an excellent method of stress reduction, relaxation, health promotion and rejuvenation. Taken regularly the Banya can increase well being, enhance and train the immune functions, facilitate endurance and improve the following conditions: high blood pressure, diabetes, rheumatism and metabolic cycle deterioration. Find The Perfect Solution To Your Stress! The advantage of the Banya is the way the heat is increased and the humidity is adjusted. In a well heated Banya, the temperature (moisture and heat) is increased by pouring small amounts of water on hot rocks on the stove, which will create the steam and begin to open the pores of the skin. Once you start to perspire, the whisks of oak/birch leaves are taken out of the water, shaken above the stove to warm the branches, and used to gently stroke, brush and tap the body from neck to toes, followed by a honey rub to draw out toxins to soften and condition the skin. This therapy has both antiseptic and detoxifying qualities. Established in 1995, Izba Spa Denver provides a unique experience in Russian body therapy. Truly being the hidden gem of Denver, you can escape to your own private oasis in the lower level of a building shared with a Healing Arts Community. 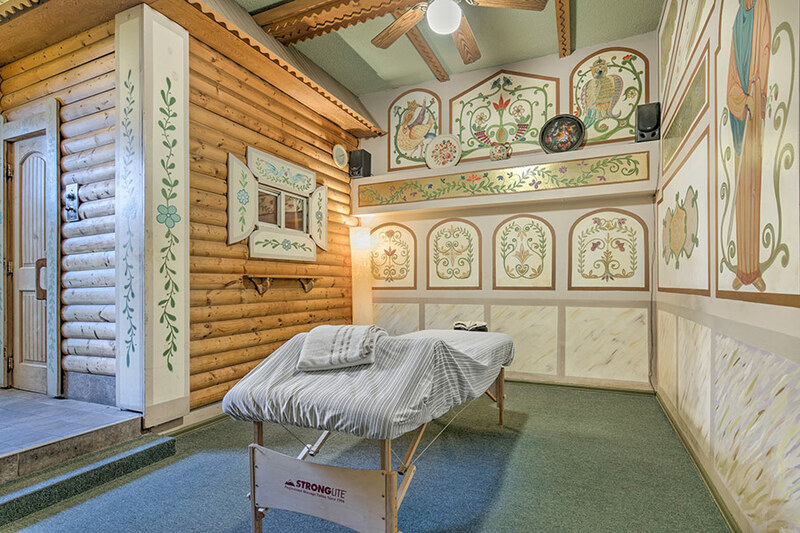 Our treatment rooms and banyas are private and cozy, inspired by the log cabin style of the Russian countryside. With the combination of Russian Banya, therapeutic massage, hydrotherapy, detoxifying body masks, and exfoliating salt scrubs, you will leave feeling relaxed, renewed, and restored.